PixelJunk Monsters was the best tower defence game ever developed. 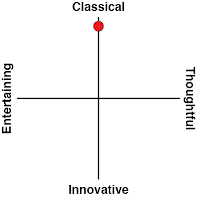 It was challenging (like the genre demands), but also beautiful, with a great sense of character and place. Distinctive and interesting thanks to its islander aesthetics, it wasn't a game that was trying to tell a story, but it was emotive and eminently charming nonetheless. 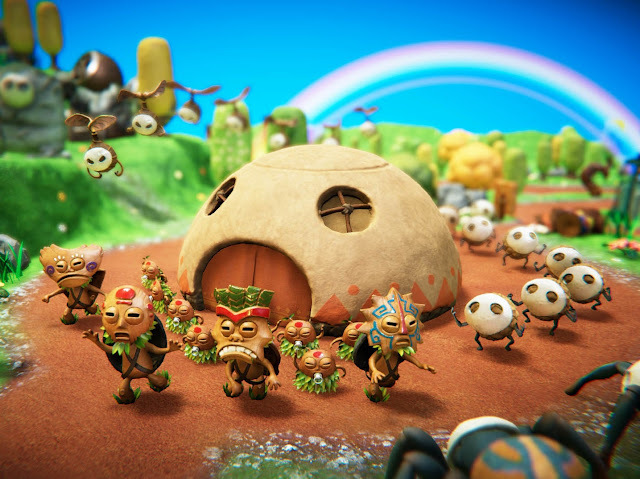 It's no longer the best example of the genre though, because PixelJunk Monsters 2 lifts things to another level entirely. The basic premise of the game remains much the same. You play as Tikiman, a little tribal fellow with a cool tiki mask whose job it is to defend the home base from invading waves of enemies, ranging from big rock fellows through to spiders and little coptering bug things. Do to this you build a range of towers along the side of the predetermined paths that the monsters follow, and those lob projectiles at the enemies. Tikiman is limited in the number of towers that he can build by the resources that he has access to, with additional gold (for building more towers) or the occasional gemstone (to upgrade the existing towers) dropping from defeated enemies. Some levels have a single path that enemies follow, others branch all over the place, and some enemies have weaknesses to certain kinds of towers, and resistances to others, so the most basic strategy in PixelJunk Monsters is in placing the right towers in the right places to maximise the reach that they have, and the damage that they'll do to enemies. It's not easy. Waves escalate in power quickly and you don't really have the capacity to misuse resources. At the same time, you actually get a bonus amount of gold if you don't use your existing pile of cash at the end of a wave, so you want to build as few towers as possible, because you will need that extra gold towards the later waves to deal with the really tough monsters and complex enemy waves. In fact, PixelJunk Monsters 2 is the kind of game where you should probably not expect to "win" a level on the first try. Even on the easiest of difficulty setting, there's every chance that you'll make some mistake and have at least once enemy break through to your base. That doesn't mean it's game over (you need to lose 20 "lives" for that to happen), but it won't be the perfect score. And you'll want a perfect score. This game can be maddening in the way that it leaves you wanting nothing more than a perfect score - both because you need that to acquire the "rainbows" that will unlock further levels, and because you will simply want to "win." 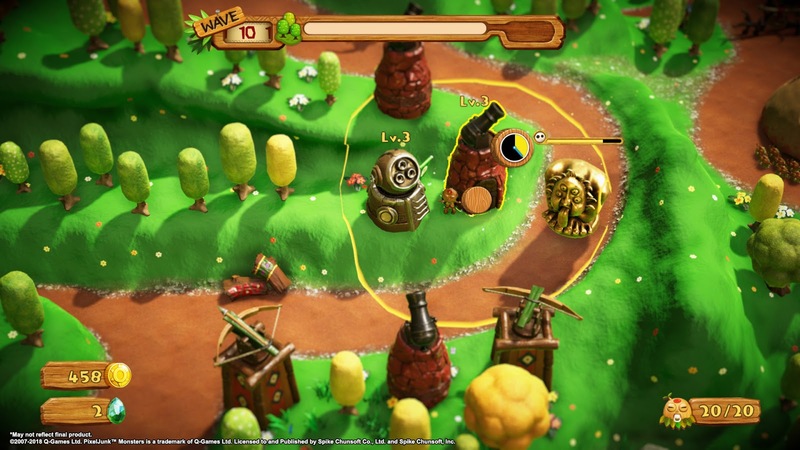 Doing well at PixelJunk Monsters 2 is simply a matter of becoming attuned to the game; understanding the exact limitations of each tower (down to the finest degrees, such as millimeters of range and exact damage potential), and truly understanding the layout of each level while memorising the order in which enemy waves appear. PixelJunk Monsters 2 might not be easy, but it is very fair. There's no randomness to the game - enemy patterns are pre-determined, and towers do a set amount of damage within a specific area. So, instead of hoping that luck's on your side (and being able to blame bad luck if things to wrong), PixelJunk Monsters 2 is instead a game of fast mathematical equations combined with intuition and "feel" - you won't be able to make every mathematical calculation the game throws at you because there's too many of them, so in times like that you'll want to instead rely on a "feel" for levels and towers that you've built up after using them dozens and hundreds of times before. One feature that is really unique to the two PixelJunk Monsters games is the ways in which towers can be levelled up. In most cases a tower can be levelled up only by throwing resources at it, and while that's one option in PixelJunk Monsters as well, you do have alternatives too. Towers get experience points with every enemy defeated, so putting your best towers in the right spot to get lots of kills is one important strategy. Finally, Tikiman himself can stand inside a tower and do a little dance, which manually increases the experience level of a tower. This is a slow process, and towers require a lot of dancing to level up, so you also need a good sense of time management in order to make use of this "free" ability to give your towers an edge. Later levels get more and more complex, as enemies start showing up carrying balloons (meaning ground-based towers can't do anything about them until an air-attack tower "pops" the balloon), or other ways of neutralising your best towers. There are a lot of tower options in PixelJunk Monsters 2, so, again, there's a lot of trial-and-error that you'll need to apply to levels as you learn the attack patterns of enemies in order to make sure you're laying down the right tower in the right place. In any other game all of this would be a painful grind that would have be giving up quickly, but not in PixelJunk Monsters 2. 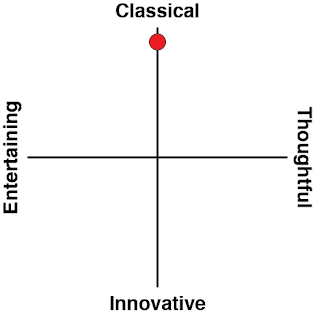 For a start, the game has such a pleasant, airy presentation that it's simply impossible to get frustrated with it. It comes across as, simply, too innocent. There's even the ability to zoom the camera right behind Tikiman, which serves no practical purpose (actually it makes things more difficult, because without that top-down perspective it's impossible to see enough of the map to make sound strategic decisions), but the view you get of the waves of enemies is almost impossibly gorgeous. Additionally, unlike the relatively dry top-down view, dropping into the behind-the-back view from time to time really helps you to to connect with the simple charms of Tikiman as a character. The vibrant colours and twee background music really help to round out one of the most aesthetically pleasing games that we've seen on the Nintendo Switch to date. The other reason that PixelJunk Monsters 2 will never become frustrating is the simple reality that every time you play a level you'll know that you can do better than last time. This is a game that you'll master on the fly and do so quickly. Every time an enemy wave breaks through you'll immediately come up with an idea on how to deal with it next time, and with every replay of a level you'll have a better sense of how to build towers in such an order that you can run Tikiman between them to level them up with maximum efficiency. 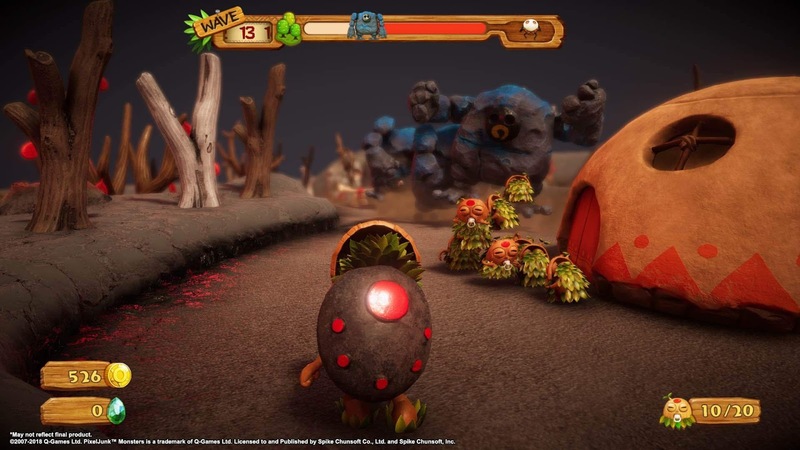 The tower defence genre is all but dead thanks to terrible free-to-play games taking over the genre and driving it into the ground, but PixelJunk Monsters 2 is a glorious defiance of that trend. If you're sick of tower defence games, give this one a go, because it'll restore your faith in the genre. If you haven't played many tower defence games in the past, this one is the best place to start, since it'll be the only tower defence game you need after that. 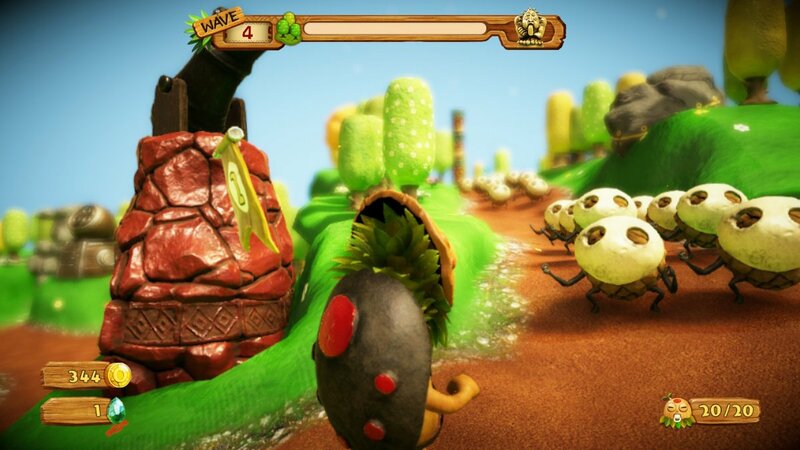 Q-Games produces some of the most distinctive, charming, and beautiful games out there, and PixelJunk Monsters is the team's best work to date.